This was meant to be an easy Araf puzzle. 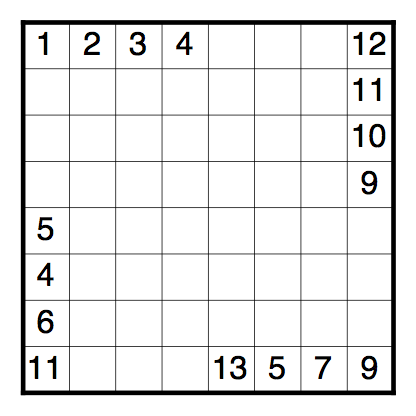 Rules Split the grid into orthogonally connected areas, such that each area contains exactly two clue cells, and such that the size of each area lies strictly between the values of the two clues that it contains. This entry was posted in Puzzles and tagged araf, medium, standard on 2014-02-19 by rob.